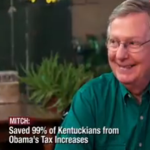 A new ad from Senate Republican Leader Mitch McConnell grossly oversells the percentage of Kentuckians that McConnell “saved” from income tax hikes last year. 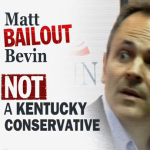 A super PAC formed in 2013 with the goal of pushing the Republican Party further right. Conservative PACs aiming to elect “true” conservatives to Congress and defeat incumbent Republicans that fall short of that standard. 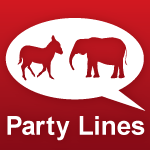 A conservative super PAC that helped foster the tea party movement. 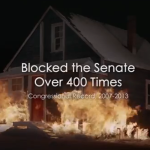 Sen. Mitch McConnell’s Democratic opponent exaggerates when she claims in a TV ad that McConnell “blocked the Senate over 400 times” since 2007.